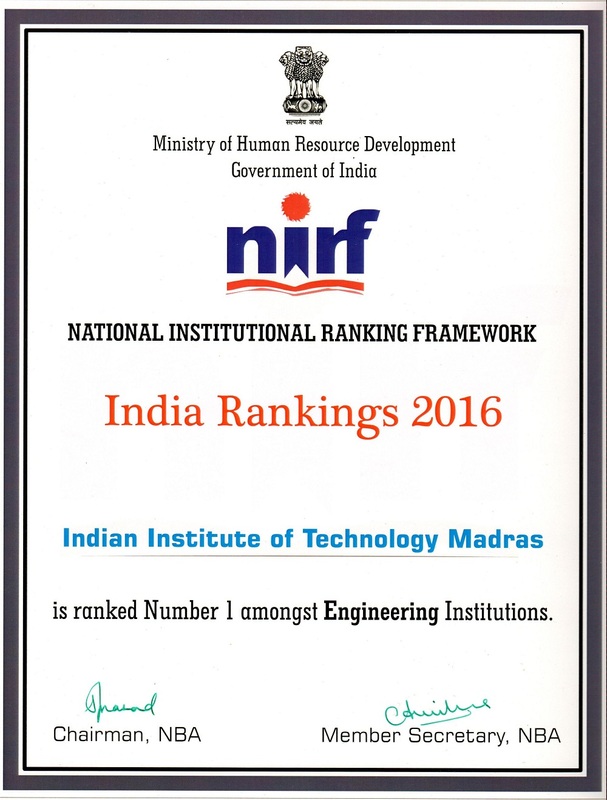 We’re proud to share that IIT Madras has been ranked first in the Engineering category in the rankings for various private and government institutions released under the “National Institutional Rankings Framework” by Human Resource Development Minister, Smriti Irani. 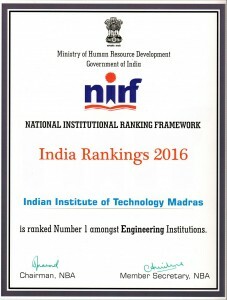 The National Institutional Ranking Framework (www.nirfindia.org), created by the Ministry of Human Resources Development, Govt. of India in 2015, outlines a methodology to rank institutions across the country. The parameters used for ranking broadly cover “Teaching, Learning and Resources,” “Research and Professional Practices,” “Graduation Outcomes,” “Outreach and Inclusivity,” and “Perception”. 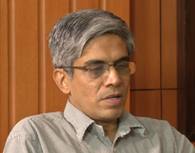 “The top rank is a reflection of the commitment of the faculty, staff and students of IIT Madras towards fulfilling the objectives of the Strategic Plan 2020 that we have set for ourselves”, said Prof. Bhaskar Ramamurthi, Director, IIT Madras. The IIT Madras Strategic Plan (www.iitm.ac.in/content/strategic-plan) spells out quantified targets for all key pillars of the Institute. 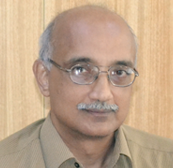 These include a flexible curriculum suited to the aspirations of today’s youth, high quality faculty, a thriving research programme with a critical mass of research scholars and laboratories with the latest equipment, India’s strongest industry-academia collaboration epitomized by the country’s first university-based Research Park, an effervescent start-up ecosystem with nearly a hundred companies being currently incubated, a rapidly expanding programme of collaborations and student exchanges with leading global universities, and an enviable Placement record. In addition, the Institute prides itself in its outreach to the community at large. The Institute takes up a large number of projects and activities in the country where it brings to bear its core strengths in order to address various technical challenges. It has developed key technologies to address grand challenges faced by the country in water, energy, healthcare, housing, and the like. The Institute’s alumni play an active role in helping the Institute grow, as well as in its outreach to the community. Alumni and well-wishers are making record contributions to the Institute to help it retain its position as a top educational and research institution and enhance its global standing. We’ve always known we were the best, right? Here’s an external affirmation…. Let’s celebrate!